Heat oven to 350°F (180°C), (325°F/160°C for dark or nonstick pans). Make and cool cake as directed on box for 24 cupcakes. 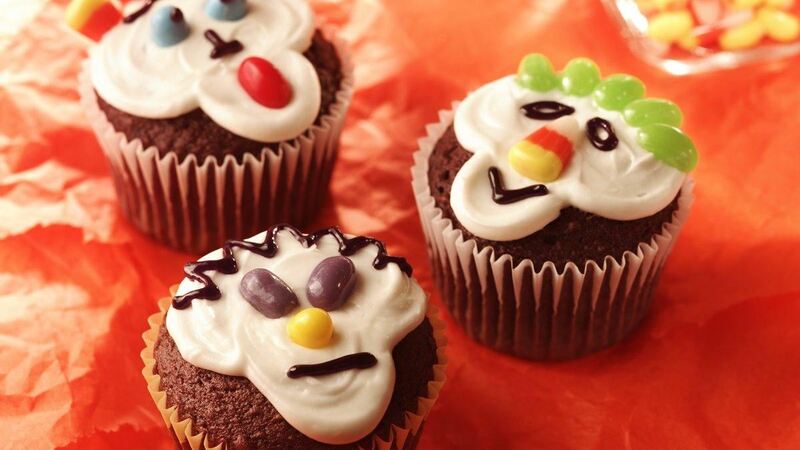 To decorate each cupcake, spoon about 1 tablespoonful frosting on top of each. With back of spoon, spread frosting into shape of light bulb to look like skeleton head. While frosting is still wet, decorate with gel and candies to make skeleton face. Tip: This recipe is a great one to try out at your child's next birthday party. Get creative and purchase a variety of yummy decorating ideas.